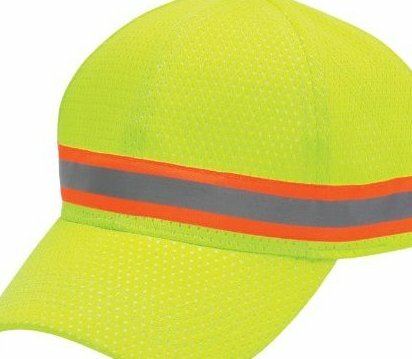 High-visibility head protection ball cap with silver reflective. 360 degree visibility with 2" wide silver beaded reflective tape. Machine washable. Breathable, mesh fabric. Adjustable strap.